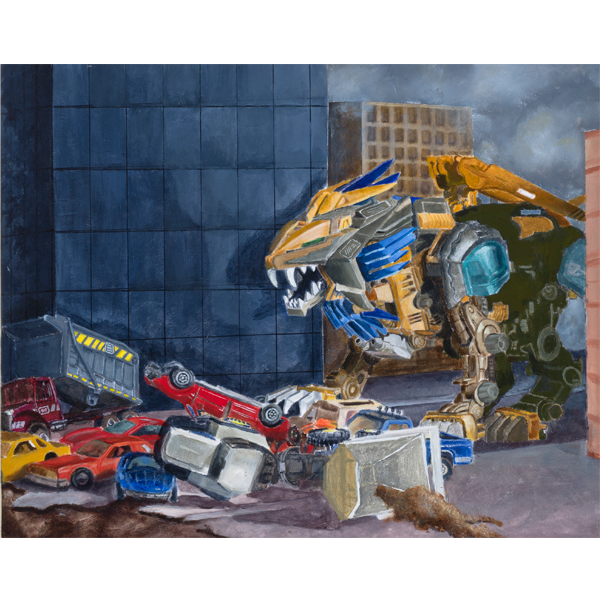 Lyger Zero® stalks a jumble of colorful cars in this surreal color painting by artist Heather Carr. 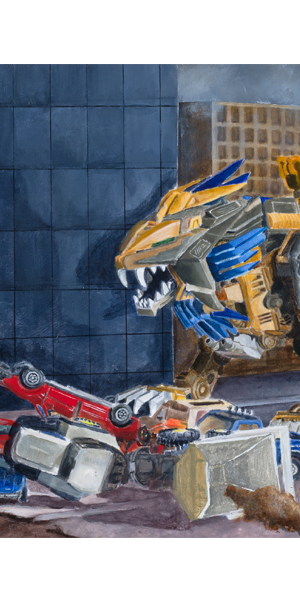 This colorful tribute to Zoids™ (mechanical model toys from Japanese toy manufacturer, Tomy) is a popular nod to childhood nostalgia from the 1980’s. This painting is only available as an unmatted 11×14 print. ZOIDS™ and Lyger Zero® are trademarks of TOMY COMPANY, LTD.